(Italiano) Smart metering di seconda generazione (2G) : Sinapsi sa come fare. The User Device (DU) of Sinapsi is in compliance with the regulatory technical specifications and is ready to participate in field testing. Sinapsi has met the times set by AEEGSI (Electricity Energy Authority for Gas and Water System) and is ready for field testing, as outlined in Resolution 222 of 6 April 2017. In implementation of Legislative Decree no. 102/2014 on energy efficiency that transposes the European Directive 27/2012, distributors are obliged to adopt intelligent metering systems that meet the requirements of this decree. Customers will finally be able to get information on the timing and profile of electricity consumption, to increase their awareness and promote competition in post-meter services, ie sales. 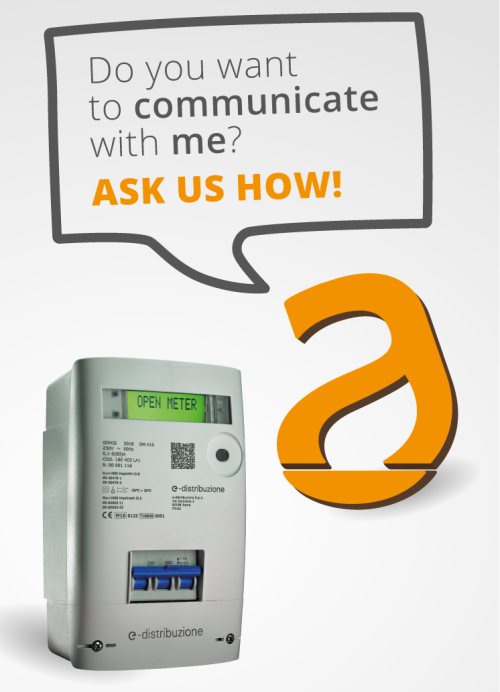 The User Device (DU) of Sinapsi allows to read the new e-distribution Open Meter 2G that enables to gain more awareness of energy usage by providing more timely information, also enabling home automation services and applications. visualization of time curves with the possibility of scheduling 6 multi-hour price bands. With Resolution No.222 of April 6, 2017, AEEGSI has established monitoring of the performance of the communication via PLC-C (Power Line Communication in the Cenelec C-band), along the so-called chain 2 (from the meter directly to the customer or third party) , between 2G meters and User Devices (DU), as part of its assessment of the second-generation smart metering (2G) commissioning plan for e-distribution. Monitoring must be structured as it must involve the active participation of relevant stakeholders (energy vendors, service providers, energy service companies, etc. ), which in turn will endeavor to identify end customers with 2G single phase meters, to engage. The performance of chain 2 communication will be observed with reference to the feedback between the messages sent by the 2G meter and the messages received by the DU installed in the field.